Notes: Very wooly leaves, deeply lobed with yellowish spines on edge of leaves. Wooly haired stem. 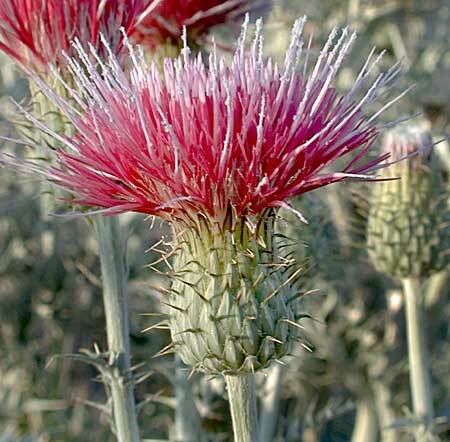 17 species of Cirsium in Arizona. Entries for Yellowspine Thistle in the CalPhotos section of the Berkeley Digital Library Project can be seen.